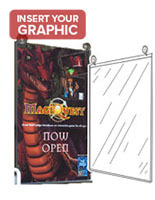 This Sign Holder Sleeve is For 24"x36" Posters! Additional Sizes are Offered on this Site! This Sign Holder is Affordable! 11" x 17" 16" x 20" 18" x 24" 22" x 28"
Unit includes adhesive tape for easy wall mounting in portrait or landscape format. 24"x36" size to hold large posters and images. Made with clear flexible plastic for a low price point. Top opening for quick loading and unloading of signs. 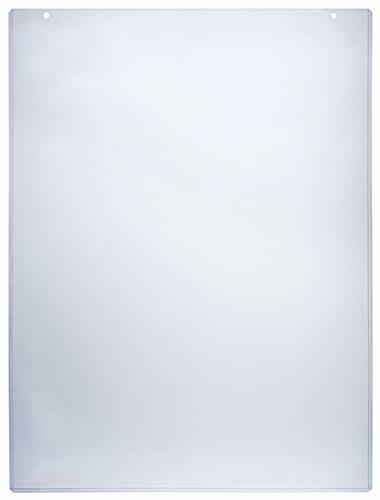 This sign holder sleeve is great for showcasing 24" x 36" prints in commercial and domestic settings. 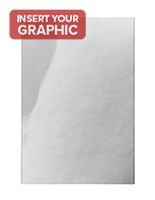 This display will keep the graphics looking sharper for a longer period by protecting them from getting torn or bent. This frame is a sign holder sleeve that is made of plastic and is clear so the focus is on the poster and not the unit itself. This display is usually seen advertising rates in a bank or menus in a restaurant. 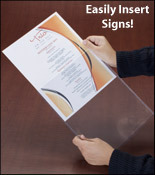 This sign holder sleeve is made from clear flexible plastic for affordability. This display is great for most businesses. 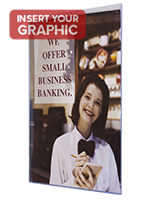 This sign holder sleeve can exhibit sales in stores, information in a bank, or menus in a food venue. 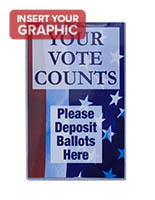 This plastic display is easy to switch out; images simply slide into the unit. 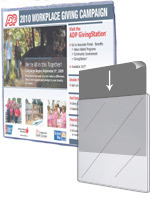 This print cover is a sign holder sleeve that is versatile. 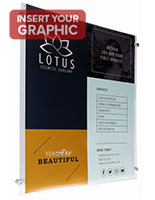 This poster frame gives consumers many display options. This sign holder sleeve comes with double-sided adhesive tape to easily mount to the wall, or customers may use the 2 holes and purchase either suction cups or ceiling hanging kits. This plastic display can hold 2 messages back-to-back, if hung by the 2 holes. If put on the wall, this print unit is a sign holder sleeve that can display prints vertically or horizontally, but with only 1 image at a time. 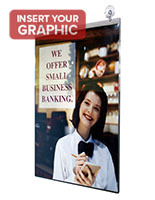 This sign holder sleeve, often referred to as a poster display, is an incredibly inexpensive way of exhibiting advertisements in a business. This plastic frame is an inexpensive alternative to acrylic. 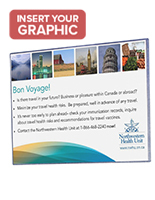 This plastic display is simple to set up no matter what method of presenting is chosen. This sign holder sleeve will ship same day if ordered by 1pm EST Monday-Friday and in stock.